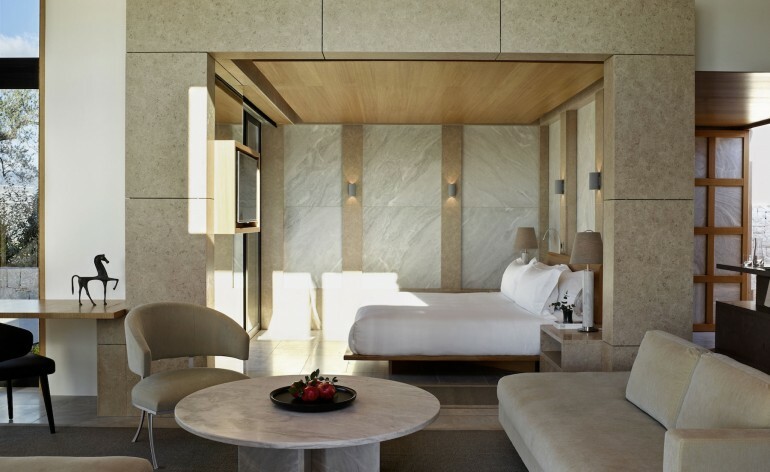 The Aman group’s Greek property Amanzoe recently launched Villa 20, an independent villa style residence for those seeking the comforts of a luxury hotel coupled with the privacy of a private home. The residence sprawls across 4 acres of land on a hill that is dotted with olive trees. The villa itself features nine bedrooms, seven pools, several living and dining areas, a fully eqiuipped gym complete with an outdoor yoga terrace and its own spa. The villa was designed by Ed Tuttle and is supposedly the grandest of all Aman’s villas. This residence has several personal touches that give it the feel of being a home rather than a hotel. “The architect will provide the design grid you can work within,” said Sven Van Den Broeck, General Manager of Amaznoe. “The together, you can make slight modifications to the villa to meet your personal needs. 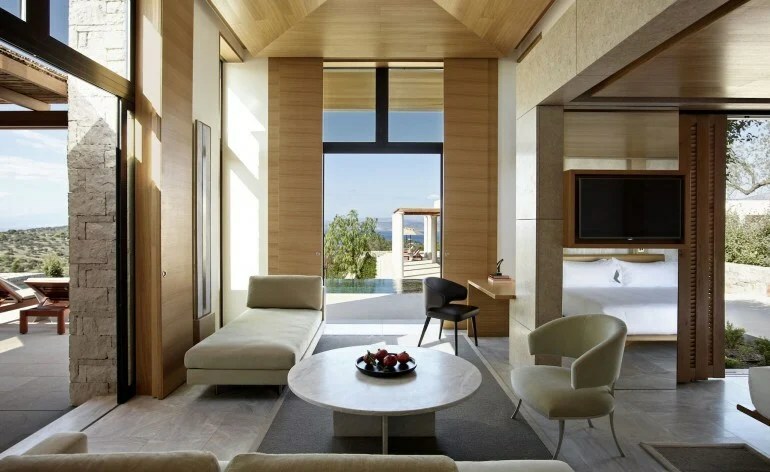 All villas are essentially an extension of the resort, hence aesthetically in line with the hotel.” The house is a combination of the Aman group’s aesthetic and the home owner’s tastes. The architecture of the home is inspired by the Greek style and it features flat roofs held up by colonnades that ensure a sense of openness and offer uninterrupted views. On the inside the house boasts high ceilings and materials like marble and natural stone. 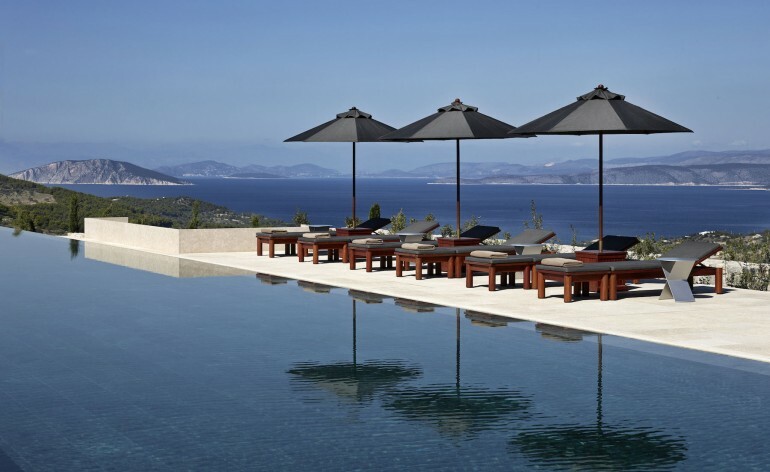 Villa 20 is only a short golf cart ride away from Amanzoe whose restaurants, bar and spa are always a welcome change.